Here's a bit of a preview of what is coming in Balancing Act. 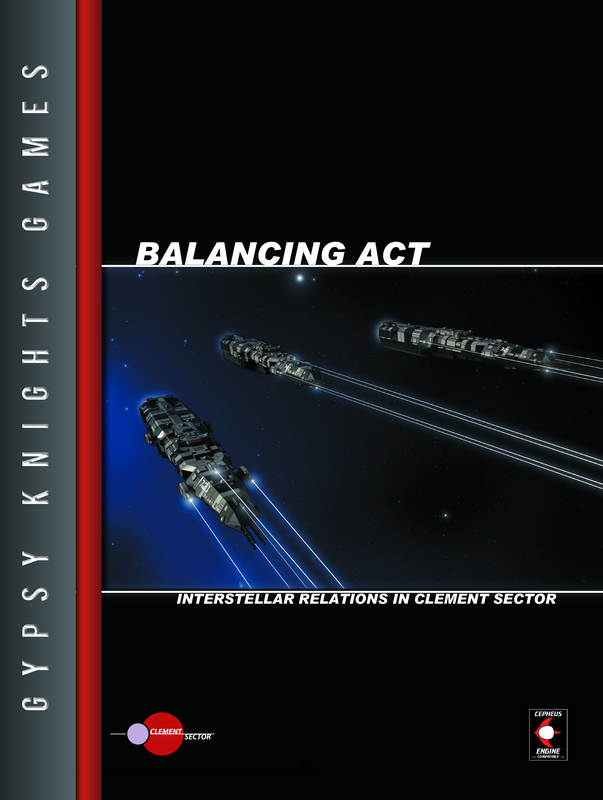 Another preview of Balancing Act: Interstellar Relations in Clement Sector which is on track to be released on Feb 15 in PDF with a print version to follow shortly thereafter. 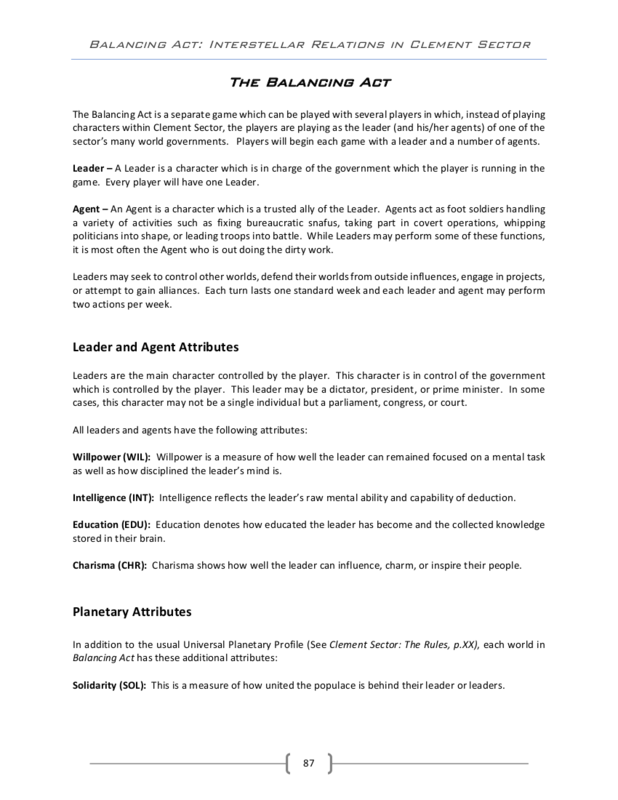 In the Balancing Act minigame, every player controls a Leader who is in charge of a planetary government. 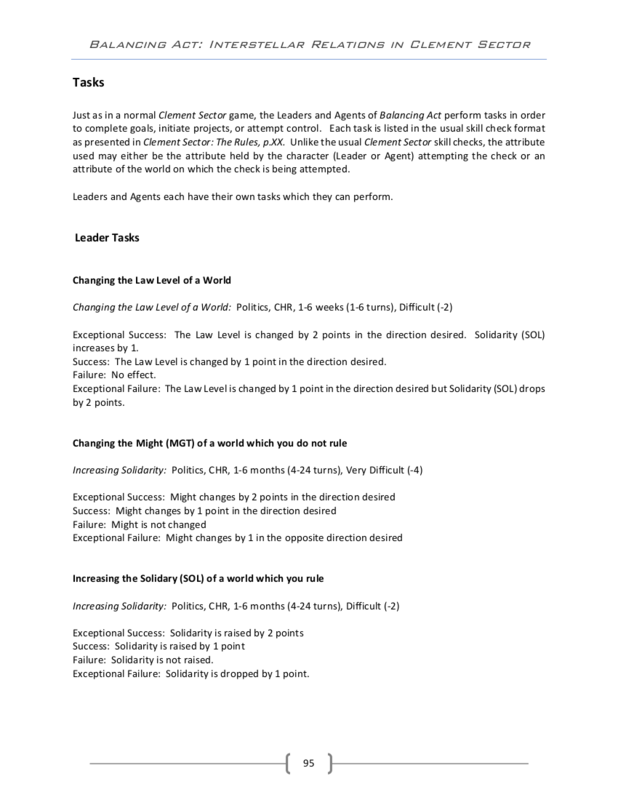 Each Leader has Agents which they may send out to accomplish tasks. 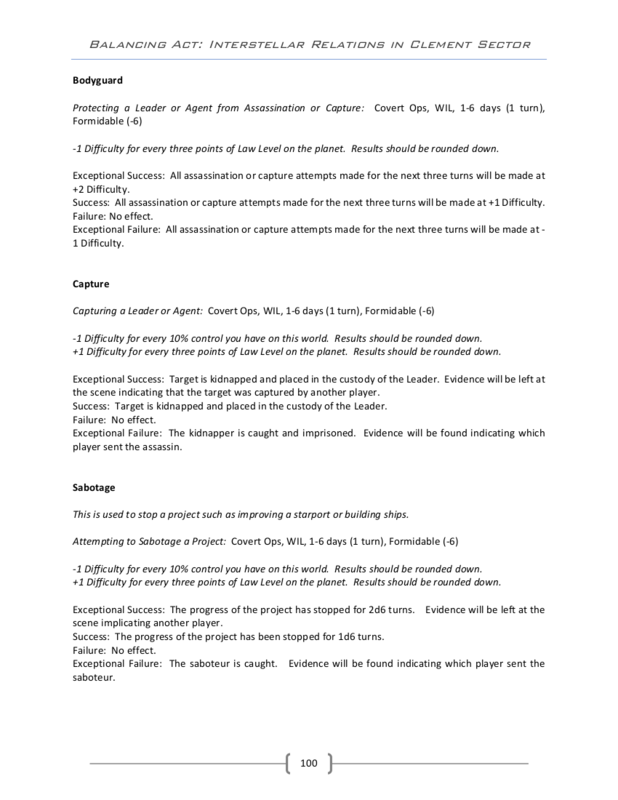 This preview shows three of the possible tasks that an Agent can attempt. Of course, Leaders have tasks as well. Here is a preview of some of those.